Lab suppliers marketing life science solutions in Philadelphia will find a well-funded market for generating scientific product sales leads at Thomas Jefferson University, according to recent NIH and NSF funding statistics. 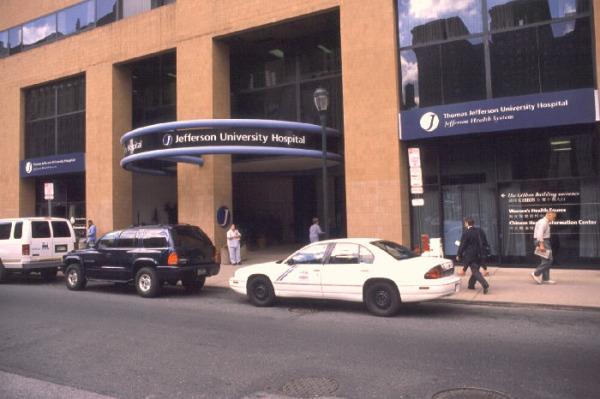 In 2012, the NIH awarded Thomas Jefferson University $49.7 million in research funding. We have compiled a list of some of the best-funded life science departments, broken down by department name, number of awards given and research funding received. For a full list of departments and funding, visit the NIH website. In addition to receiving NIH research funding, Thomas Jefferson University received $318,984 in NSF research funding for life science projects alone. The NSF-funded projects spanned two disciplines: Systems and Synthetic Biology, and Genetic Mechanisms. The first project, entitled “A Signaling Pathway that Couples Spore Formation to the Completion of Meiosis in S. Cerevisiae” was awarded $219,999, while the second project, “Even-Skipped Locus Control and Enhancer-Promoter Interaction” was awarded $98,985. In 2009, the NSF ranked Thomas Jefferson University 97th in the country for total R&D expenditures in the life sciences, having spent $101.2 million. In another ranking in 2011, the NIH ranked the university 93rd for direct plus indirect costs in the life sciences, excluding R&D contracts and ARRA awards. These 2011 expenditures totaled $52.7 million. According to the Thomas Jefferson University news site, the department of neurology at Thomas Jefferson University has also received a multimillion dollar grant from the NIH to create a research center that studies autoimmune diseases from the beginning science research stage up until its clinical applications. The first phase of the grant is $4 million, but that number could go as high as $10 million. Thomas Jefferson University was also awarded $34 million in funding for research, facilities, equipment and education. The NIH awarded Thomas Jefferson University Medical College a four-year, $3 million grant to study the genetics of platelet gene expression. What's more, the NIH awarded the university $4.8 million to test a new rabies vaccine. If you are a lab supplier interested in marketing life science solutions and increasing scientific product sales leads at Thomas Jefferson University, Biotechnology Calendar, Inc. invites you to attend our annual Thomas Jefferson BioResearch Product Faire™ Front Line Event. Biotechnology Calendar, Inc. is a full-service science research marketing and events-planning company. Biotechnology Calendar, Inc. organizes life science marketing events at top research institutions across the country. Science researchers love our events because they are able to discuss their latest research projects and learn about new life science solutions and services while enjoying a free, catered lunch. The convenience of our trade shows being on campus and only a short walk away makes attending our shows all the more attractive. Exhibitors love our trade shows because we provide a great way to get to generate scientific product sales leads at top research universities. Biotechnology Calendar, Inc.’s professional services and casual atmosphere make it easy to discuss your company’s newest technologies and supplies with hundreds of researchers, all in the space of a few short hours. For more information on our Thomas Jefferson BioResearch Product Faire™ Front Line Event, or to view more funding statistics for Thomas Jefferson University, click on the button below. If you’re interested in attending a trade show closer to home, we encourage you to view our 2013 calendar of events.